A common complaint about the referendum debate from so-called “ordinary voters” is that while soothsayers and their opinions are many, facts are depressingly thin on the ground. In default of facts, the public is bombarded with unverifiable assertions whose reliability tends to be in inverse proportion to the confidence with which they are expressed. Some of the most forceful of these are manifestly untrue and routinely take the form of histrionic tantrums and insults – humorous and otherwise – directed at opponents. Bombast and fury, notably from advocates of the ‘Leave’ campaign, occupy the sound waves and headlines, elbowing out rational argument and well-researched analysis. Boris Johnson’s scatological quip about the government’s referendum leaflet, for example, tells us less about the quality of the document than about the puerile humour of a man who, by some accounts, is using ‘Vote Leave’ as part of a plan to replace the current occupant of Number 10. If he succeeds, he will be the first overt buffoon ever to lead the country. Ambition, cold calculation of personal or corporate advantage seem more present among the ‘Outers’ than concern for the country’s future. Not that we should in any sense admit the current UK prime minister into the ranks of “the best”. He is, as Anthony Barnett describes in his excellent piece, an inveterate dissembler, a callow purveyor of untruths. But with respect to the referendum, the arguments for ‘Remain’ put forward by Cameron’s team – and by Corbyn’s for that matter – give the impression at least of appealing to our intellect rather than to crude emotion. What is lacking so far in the ‘Remain’ camp is any sign that the manifest absurdities of prominent ‘Out’ campaigners like Johnson are being subjected to scrutiny. So here is a taste of what such scrutiny might reveal. Among Johnson’s recent pronouncements is a claim that President Obama is a hypocrite for recommending that the UK remain in the EU (with a concomitant loss of sovereignty) when the US wouldn’t dream of sharing its own sovereignty with any other nation. That Johnson feels free to voice such an offensive insult suggests that he will say anything to advance his case regardless of whether it is fair, true, or an appropriate way of referring to a foreign head of state prior to a visit to this country. This is embarrassing enough; but even worse is that his remark is patently untrue. When, in 1994, the US government entered into the North American Free Trade Agreement (NAFTA), it surrendered a substantial degree of autonomy, as did the co-signatories Canada and Mexico. A complex and substantial range of NAFTA rules and regulations governs trade and investment between the three countries, a fact that has given rise to unease in some quarters at the loss of sovereignty supposedly involved. The idea that trading arrangements in the modern world are free of political consequences is, to borrow one of Johnson’s favoured epithets, piffle. All such agreements involve releasing control over some aspects of national economic life in return for expected advantages. Whether these involve a fundamental loss of sovereignty, rather than a reversible one, is another matter. ‘Leave’ campaigners are fond of pointing out with declamatory relish the percentage of UK laws now made in Brussels (a Farage speciality), and that various desirable initiatives of the UK government are stymied by EU regulation. What they overlook is that the UK parliament remains sovereign in law and that while, on joining the European Community (as it then was) in 1972, it agreed to acknowledge the supremacy of European law, it could not and cannot bind its successors. Like other EU members, the UK can repudiate existing EU legislation or refuse to sign up to new legislation with which it disagrees. As I have signalled in a previous piece, other EU members have a decidedly pick-and-choose attitude towards EU legislation; and the idea that the UK lacks this element of discretion is, to borrow once more from Johnson, bunkum. 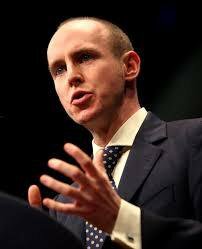 One of the ‘Leave’ campaign’s most outspoken storm-troopers is Daniel Hannan who, despite his distaste for the EU, is an elected MEP with a right therefore to enjoy the associated perquisites. A curious reversal of Groucho Marx’s refusal to join a club willing to accept him is Hannan’s adherence to a club that he evidently feels should have no members at all – not UK ones at any rate. As readers wearing armour plate can verify for themselves, Hannan has assembled what he doubtless considers to be an imposing armoury of munitions against ‘Remainers’ and everything they stand for; and he expresses himself with the frightening self-confidence of someone for whom doubt is an alien concept, and facts are discardable or subject to revision if they fail to correspond with his vision. An anti-EU article by Hannan in The Spectator offers a summary of his views. He begins by telling readers that: “…the migration and euro crises are deepening, and Britain is being dragged into them.” As an exercise in misrepresentation this could hardly be bettered. Given that the UK has not adopted the common currency, the euro troubles to which Hannan refers can only affect the UK indirectly through commerce; and since no one is advocating a cessation of trade with the EU, the issue is irrelevant to the case for or against Brexit. More sinister is Hannan’s reference to migration because it directs our attention, as he doubtless intends, to the refugees flooding into southern Europe from various conflicts in the Middle East, North Africa and elsewhere. Their numbers certainly qualify the phenomenon as a crisis, but it is not one created by the EU as an institution. If responsibility lies anywhere beyond the conflicting parties themselves, it is with foreign powers that have interpreted their role on the world’s stage as a right to meddle, to bomb, to invade, and to sell arms to those regions, with scant regard for the consequences. Hannan’s migration comment slides neatly over the UK’s own role in fomenting the migration crisis: the wreckage of Iraq that gave rise to ISIS, a dithering intervention in Syria, military adventurism in Afghanistan, Cameron’s pathetic failure to keep his promises on Libya, and so on. The inference is that we can and should close our eyes and borders to the refugee problems facing Greece and Italy, and instead pursue a policy like those of Hungary, Macedonia and now Austria aimed at keeping out unwelcome hordes. If Europe is descending into what may be the kind nationalism that we saw prior to WWII, then the EU project may come to an end anyway – not for the reasons cited by Johnson and Hannan, but because of a dispiriting failure to exercise the common solidarity that, in a globalised and increasingly volatile world, is critical to our well-being. Describing the EU as “malicious”, and its activities as a “menace” to London anthropomorphises it as a villainous creature intent on doing us down. Since Hannan offers a list of malign EU initiatives, let’s take a look at them. The Alternative Investment Fund Managers Directive (AIFMD) represents an attempt to limit systemic risk in the “alternatives investment” market, such as hedge funds and derivatives, that are widely considered to have contributed to the global downturn of 2008. Despite coming into force in 2011, only a handful of EU members have bothered to ratify it – the UK being one of them. No one forced the hand of government to sign up, and given the havoc wreaked on the world economy by out-of-control financial speculation, the menace would seem to be not in Brussels but in the minds of those who wish to allow fund managers to carry on as before. One can only wonder at the reason why Hannan thinks the AIFMD threatens our well-being. The short-selling ban is a piece of legislation designed – like the AIFMD – to foster financial stability in the light of lessons learned in the aftermath of the 2008 crisis, and it contains exemptions available to all member states; while the cap on (bankers’) bonuses – at an almost grotesque maximum of 200% of pay – seems so absurdly innocuous that to cite it as an example of EU maliciousness is either perverse or simply weird. Finally the Financial Transactions Tax is an initiative of the European Commission in which fully half of the EU members – including the UK – have opted not to participate. In summary, Hannan’s terrifying examples of EU malevolence turn out to be neither terrifying, foolish, oppressive, malevolent, or even obligatory. Turning to the cost of EU membership, Hannan refers to an obscure paper by “Professor Herman Matthijs of the Free University of Brussels” in which figures are given for national contributions to the EU budget. Hannan’s complaint is that Iceland, Norway and Switzerland, which are non-EU members, only contribute €50, €107 and €68 respectively per capita, while the UK has to pay €229. What he fails to point out, either because the message is inconvenient or because of his own ignorance (he incorrectly describes Professor Matthijs as the only available source) is that the UK’s net per capita contribution after rebate and financial support deductions is not €229 but €118, equivalent to 2.5 pence per day. By contrast, France pays €176 per capita, Germany €270, Belgium €302, and Netherlands a whopping €504 . Of the twelve EU countries that make positive net contributions to the EU, only Ireland, Spain and Luxembourg pay less per capita than the UK. The UK’s position as a net contributor to the EU budget roughly corresponds to the country’s relative wealth per capita. This may come as a shock to those who have become accustomed to hearing – notably from ‘Leave’ campaigners – that the UK economy is the fifth largest in the world. Absolute size is far from being a reflection of economic success, and in Europe, the UK lies in tenth position in terms of GDP per capita behind Austria, Belgium, Denmark, Finland, Germany, Ireland, Luxembourg, Netherlands, and Sweden. Where the country stands proud is not in relative wealth but in achieving the rank of Europe’s most unequal country. Some might consider this comment to be a damned cheek as well as misleading. Iceland is the country that had to be bailed out by EU countries (plus Norway) when it went bust; and it adheres to virtually the entire EU framework – including the “Schengen” open-border arrangement from which the UK is exempt. Rhetoric rather than information is the ‘Leave’ campaign’s main weapon; and its case rests largely on arousing sentiments of nationalism, on appeals to emotion and to certitudes whose validity on inspection seeps away like sand through a sieve. His warning went unheeded, with all the ensuing consequences. Former Greek finance minister, Yanis Varoufakis, speaks in similar terms in a recent interview with Owen Jones of The Guardian. His message: we need to bond across borders if we are to avoid a descent into xenophobia, racism and ultra-nationalism. Perhaps, in the end, we just need to glance back at the last century, and learn. Stefan Zweig, The Unification of Europe in “Messages from a Lost World”, Pushkin Press, London.